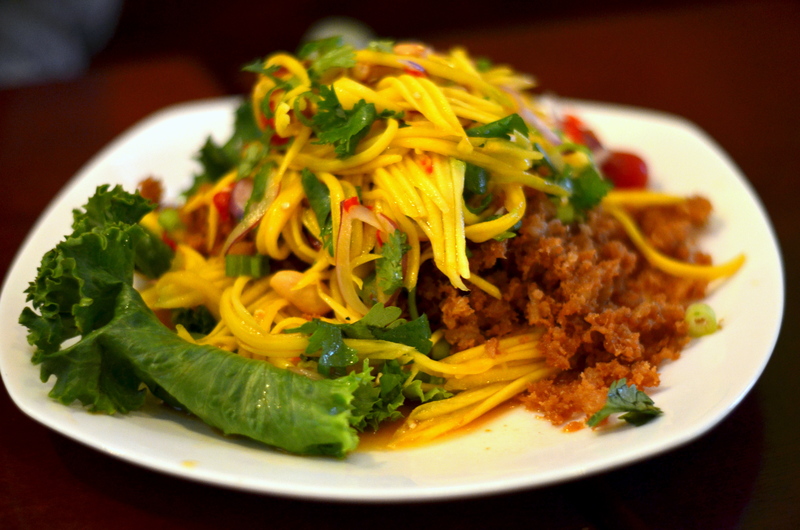 The fried catfish salad from Ayada Thai in Woodside, Queens, is probably one of the best things I’ve eaten in 2014. Bits of flaked fish fried into pure crisp – but without any overbearing oiliness or taste of deep-fryer dredge, but it does perfectly soak up the dressing – lime and fish sauce and Thai chili. 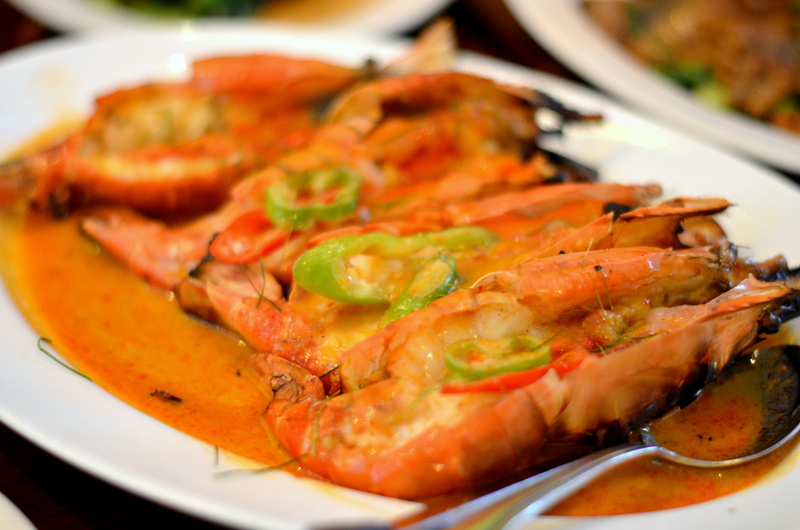 Grilled tiger prawns in a sweet curry sauce. Meaty and enormous, with the funky headcheese-y goodness of head-on shrimp. It looked like the prawns were cooked after being halved, the shells serving as a cooking vessel. 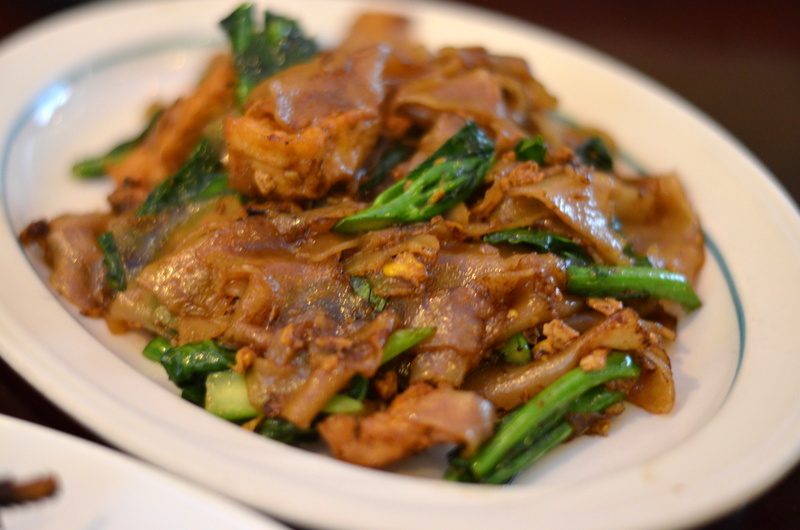 A somewhat lackluster plate of pad see ew, with Chinese broccoli and egg. 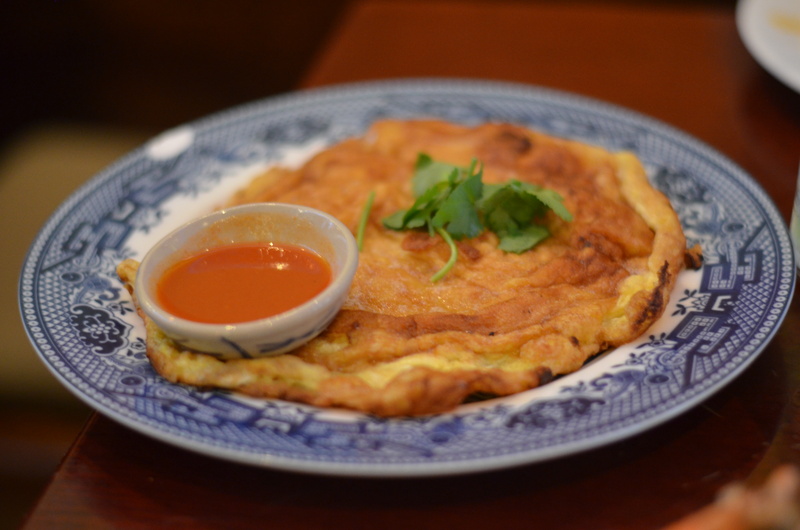 Thai omelet, simple and delicious, fluffy and crisp. 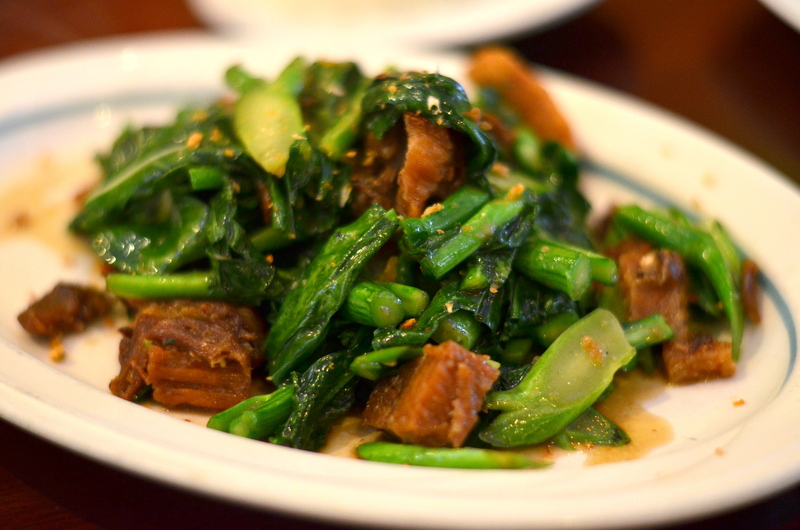 Crispy pork with Chinese broccoli. The service here, given the smallish restaurant, is a much bigger part of the experience, and other than the sometimes unpredictable waits, we’ve only had pleasant, engaging, helpful, even funny exchanges with the staff. It feels much more like a family-run place, with a conviviality and coziness that recalls the best of Thai brand of magnanimous hospitality.